And they did! 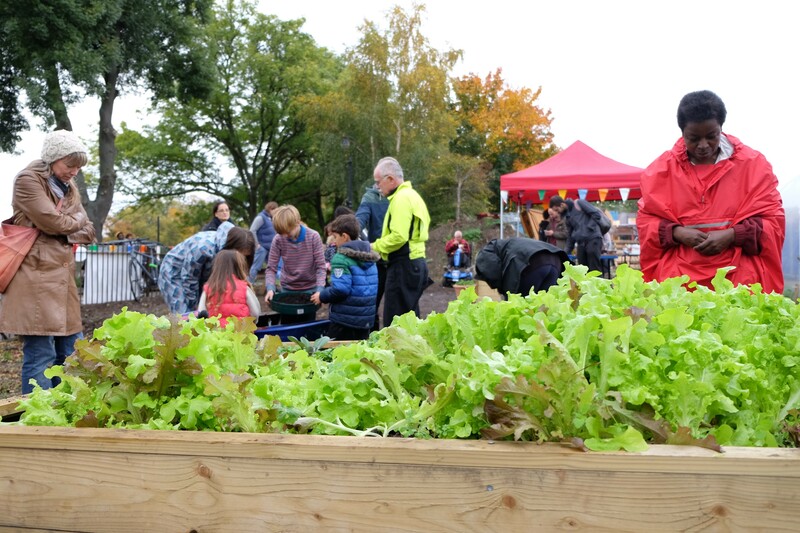 Despite the poor weather an amazing amount of people came along to the Bandstand Beds Opening Feast for the new food-growing space on Clapham Common’s green-waste site on Saturday 24 October 2015. And while clouds loomed gloomily above there was buzz of excitement and celebration on the ground, captured beautifully in Lis Watkins’s drawing above (lineandwash.blogspot.co.uk). 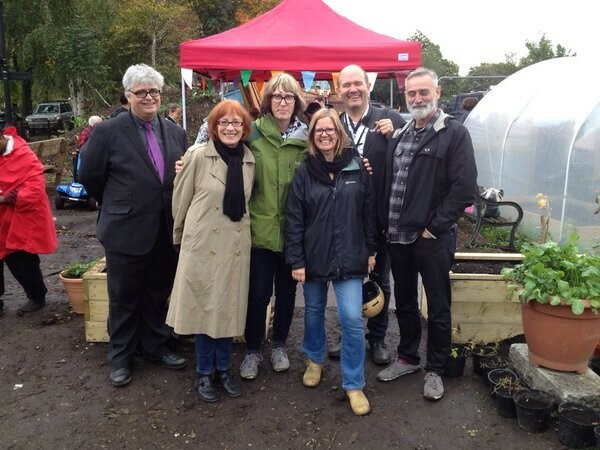 Cllrs Jane Edbrooke and Linda Bray joined us early in the afternoon to take a look around the new community food garden, and were both impressed by the amount of hard work that has been put in by our members and volunteers to build the site. 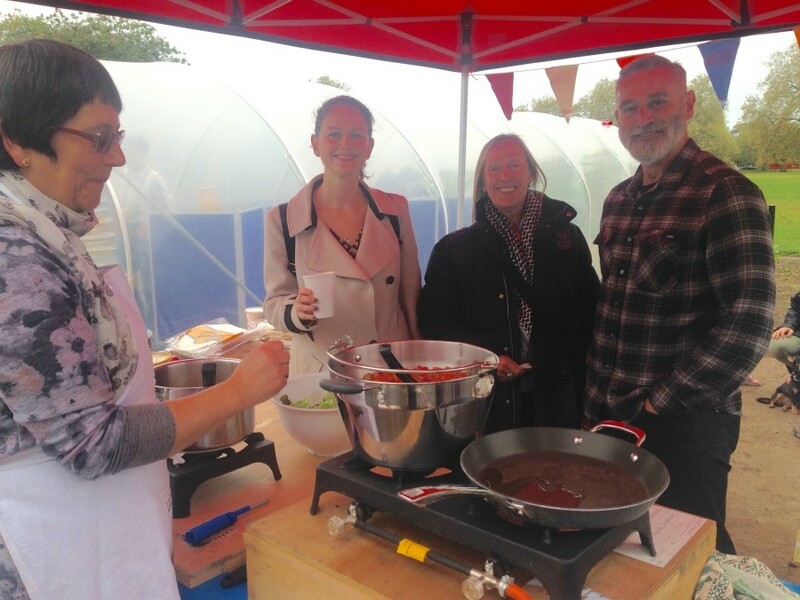 Later, after sampling some of the delicious home-cooked chilli on offer, Cllr Edbrooke said a few words to officially open the new food-growing space. Once the afternoon kicked-off everyone discovered there was more to this feast than a bowl of chilli. Tasty veg soup and goat’s cheese & pumpkin pies had been donated by Metro Restaurant (metroclapham.com) and there were some brilliant bakes from Tart (tartlondon.com), topped off with some pimientos de Padrón freshly cooked by Amrit (above right) from his home grown peppers. For dessert, scrummy cake made with rhubarb we grew in our beds at The Spinney, a slightly indulgent trifle and, of course, fairy cakes at the bottom of the garden! 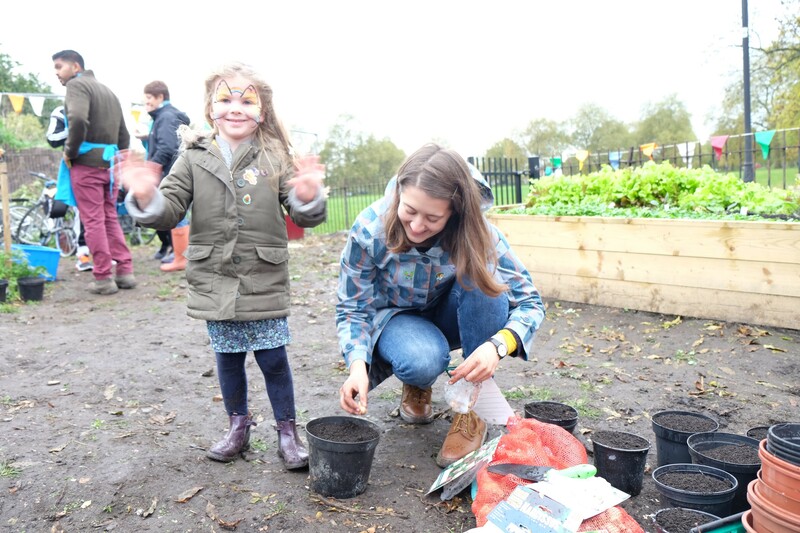 The planting activities organised by Jack from Groundwork, sieving compost and planting bulbs, were a huge hit with the kids. One little lad was enjoying himself so much that when his mum and dad said it was time to go home he burst into tears. He did cheer up a little bit, however, when we said he could come back soon. 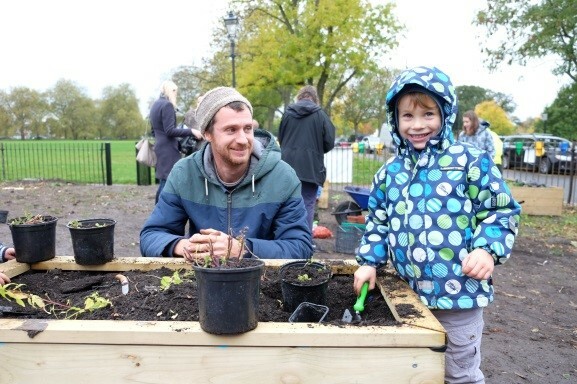 Jack (top left) had lots of enthusiastic little helpers for his bulb planting! 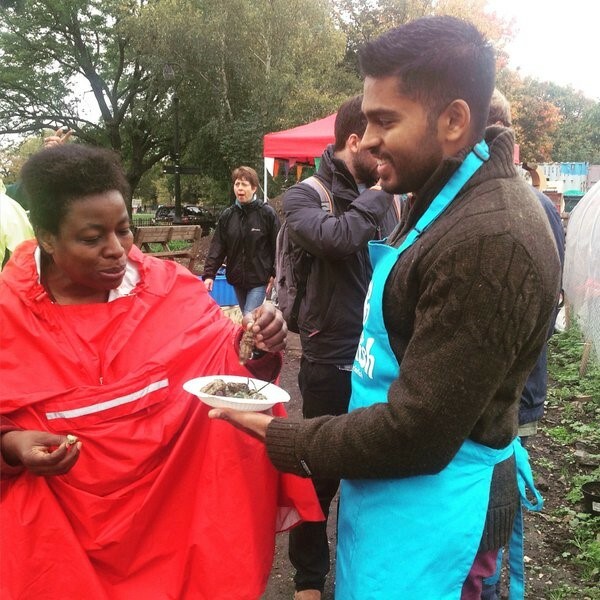 Along with all the planting, face painting and finger-licking food fun, the afternoon was also a fantastic opportunity to meet up with Pam Warhurst, founder of the Edible movement, and to chat about how we will be involved in the Clapham Food Route. Adrian Bascombe from Lambeth College spoke about us working with them, and how the college plans to build raised beds in the paddocks on Clapham South Side. Catering student will then use the fresh produce grown in the recipes they create. Above: Nina draws a winning ticket. 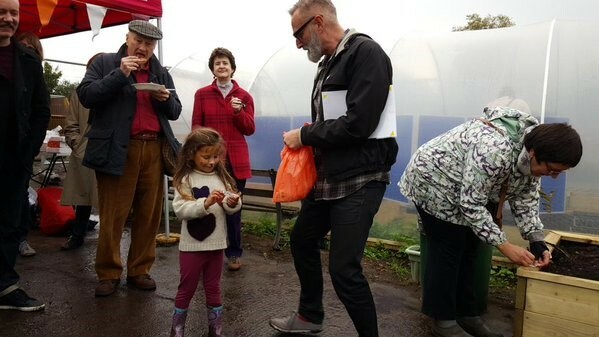 Luckily, there was only one heavy shower all afternoon, but even that didn’t dampen people’s spirits as they sheltered in the polytunnel. And when the time finally arrived to round the day off some people were luckier still — especially Emily Wallace who had bought the winning ticket in our raffle and won a Christmas hamper! 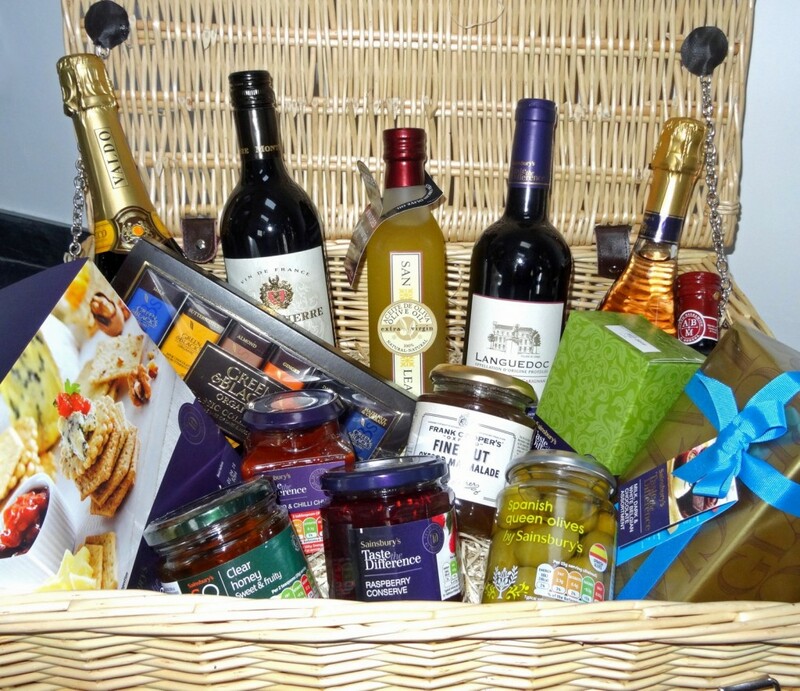 There were lots of other winners too who received fab prizes donated by local businesses*. There were happy faces all round, including the Bandstand Beds team when they made the final count up and realised we’d raised a staggering total of £285 from the raffle and cash kindly donated by people who attended the feast. Not half bad for a wet and windy afternoon in October! This money will be put towards funding our community food-growing projects and the running of Bandstand Beds. * Special thanks to Sainsbury’s, Fitness First Lavender Hill, Groundwork, Clapham Flowers. Oliver Bonas, Tesco, Mark & Spencer, Clapham Picturehouse and Clapham Books for their generous raffle prize donations. On Saturday 21 November we’ll be holding a Fruitful Planting event in the community food-growing corner of Clapham Common’s green-waste depot. We’ll have a variety of fruit trees to plant near the perimeter fence to help act as screening of the garden. 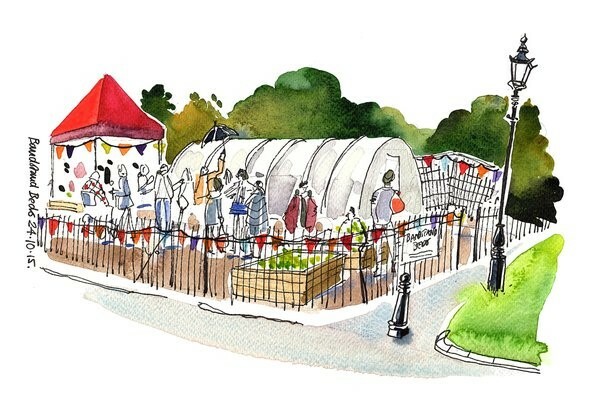 The event will start at midday and, planting done, there’ll be tasty treats to eat and even a little mulled wine or fruit juice to warm your cockles. But do still remember to wear suitable seasonal outdoor clothing and sturdy footwear!